This is a unique flecked silver finished brass lighter with lighter tin. 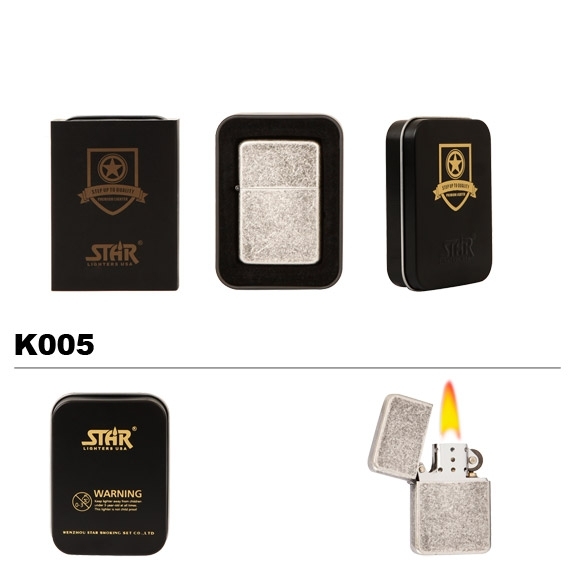 Refillable lighters sell well from many locations. Arrived in perfect condition. nice case too.